Before reading our interview with Jack King-Spooner I strongly encourage you to take a look at his brief Kickstarter video. That’s not to pressure you into backing his project, Beeswing, but rather to give you an idea of what Jack’s unique project is all about in his own words. I don’t claim to be a great writer, and wouldn’t want to diminish the special nature of Beeswing through my own clumsy writing. Watch the video for yourself at this link. Lovely, isn’t it? Let’s get right to our interview with Jack and learn a little more about him and Beeswing. 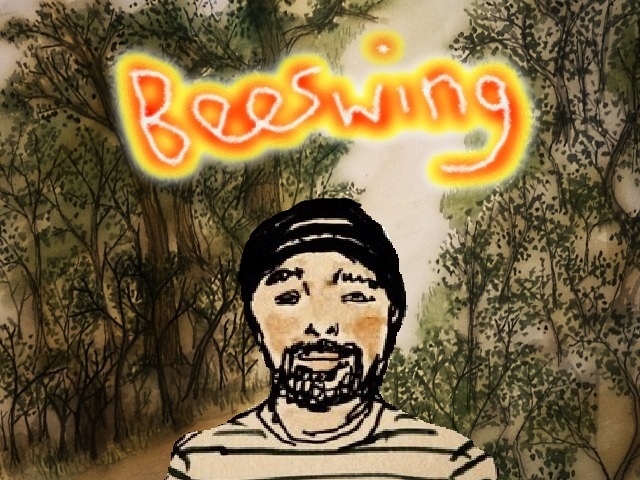 Cliqist : Beeswing seems like it’s as much a documentary as it is a game. Jack King-Spooner : There is definitely a documenting quality to it but it is really important to me that is works as a piece of entertainment, as a game. Cliqist : When you make a game is it important to you that people get it, or does the creative process supersede the marketability of the resulting product? Jack King-Spooner : I really don’t think about the marketability, in fact I probably actively avoid thinking about it. I really feel that if a creator aspires to appeal to the masses through content, aesthetic, whatever then they have very little social function. I guess that it is important to understand what is popular. More important is perhaps understanding what makes something popular. Cliqist : Along those lines, you mentioned that Beeswing will have no fighting or puzzles. That’s a bold choice, even for an indie game. Jack King-Spooner : I guess it is a bold choice but they really don’t feel right for the work. I think sometimes puzzles and fighting are just arbitrary obstructions in games, more often they’re not but sometimes they are. In Beeswing they would just feel odd. There is probably a case for semantic nonsense here about what constitutes as a puzzle/fighting. There are, of course, a massive amount of games that aren’t ostensibly about fighting or puzzles but they are just a bit overshadowed by the endless amount of shoot-em-ups etc. Cliqist : The art style in the game runs a pretty wide spectrum. How do you decide which visual themes to use with a particular scene? Jack King-Spooner : Nearly all of the game is watercolour representations and this is to give it a familiarity and a certain appeal. I think washed-out tones really suit the often bleak surroundings of Beeswing. There is a lot of watercolour art in countryside places in the UK and it felt more and more right to channel that somewhat. The clay animation thing, well, I feel there is something almost grotesque about clay animation, call me crazy. I don’t want to spoil much but there is a certain quality to some of the stories that is underlined with ugliness, it’s just the way of the world. Another use of the clay animation is to hint at season change and aging. Many of the stories that deal with midlife are illustrated using clay. The graphite/ charcoal part is to similarly show a different quality of story and in particular to set a certain story aside from others. Cliqist : Do the people in town know you’re making the game? Jack King-Spooner : Oh they know! A number of them have seen themselves and laugh in a really nice way. It’s really a homage to them and I would hate for them to think I was exploiting them in anyway. Mostly people are perplexed at how it’s all done more than anything and some more mature folk are unsure how to interact with it but I seem to have everyone’s support which is extremely important. Cliqist : The Wikipedia entry says that Beeswing was “…once a vibrant village…” What happened? Jack King-Spooner : Yes! This Wikipedia was only brought to my attention a few days ago! It’s bizarre, isn’t it? I wonder who wrote it. Well Beeswing was a mining village with a school, pub, church and a shop but once the mines dried up I think people moved away and there was no custom. I wonder who the famous footballer was, they don’t even write his name. Cliqist : Could you ever go back to living there? Jack King-Spooner : I think I probably could but there is no employment in the countryside anymore. It’s probably a great place to retire to but for a young adult, maybe not. I visit often and it gets me every time how great it is there. Cliqist : Your Kickstarter campaign has been quite successful so far, what do you attribute that to? Jack King-Spooner : Well, it says on the Kickstarter dashboard that the highest amount of pledges have come through twitter. That’s a dull answer. A better way to think about it though is that a person can’t simply make a game and expect it to garner interest. I’ve spent over a year making free games and trying to make a sort of name for myself and maintain integrity. Without that body of work, I’m sure that this Kickstarter wouldn’t have happened. I mean, I didn’t make those games in order to do a Kickstarter or anything like that but the reception they got really encouraged me to try and do something a little bit grander. Cliqist : Any final thoughts you’d like to share? Jack King-Spooner : I’m very grateful for you considering that my odd little project is worth your time Greg, so thank you. I hope my answers aren’t too rambling or boring, I’m not used to this sort of thing really. I’m thinking about making a mobile version of the game for tablets and such but I can’t promise anything until I’m more confident that I can. Cliqist : Can you close us out with a Beeswing inspired Haiku? Jack King-Spooner : haha, that’s just great! So how do they go? 5 7 5? Cliqist : Thanks for taking the time Jack, it’s greatly appreciated. You can learn even more about Beeswing on the game’s Kickstarter page. Funding runs until November 15th. You can read our previous coverage of Beeswing here.